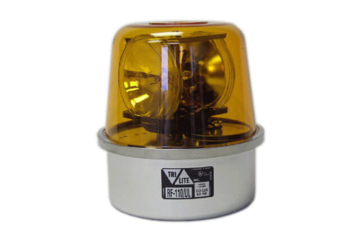 Twin or quad beam rotating light available in several models in a variety of voltages and lamp styles. Upgrade to LED! Rated at 50,000 hours, versus 300 hours for incandescent bulbs, the new LI models LED bulbs produce 850 lumens, while consuming 66% less power making it not only bright, but also incredibly efficient.